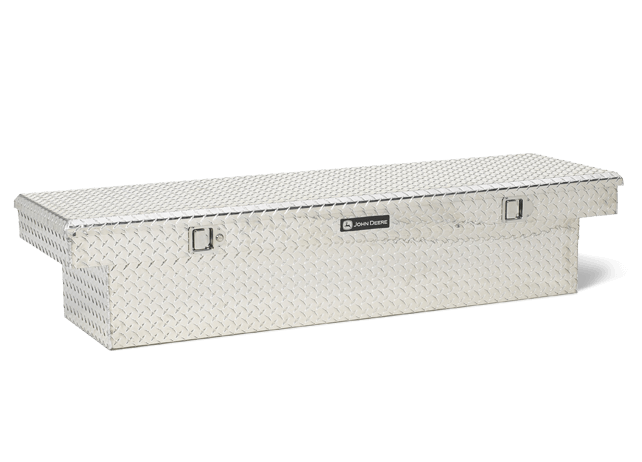 The AC-6975TB-A Single-Lid Crossover Toolbox is constructed of durable Brite-Tread aluminum and has stainless-steel paddle handles that offer convenient access to storage and can be opened from either side. Dimensions: 70.75 in. x 20.0 in. 15.0 in. 9.67 cu. ft.